Close-to-home programs continue to embrace US and Canadian national parks. Exhilarating outdoor adventures that blend with cultural interactions are intrinsic to new itineraries in Africa, Asia, Europe and South America. Montana/Wyoming | Rockies Adventure – Grand Teton, Yellowstone and Glacier national parks star in this Wild West adventure in the Northern Rockies where guests explore the distinct personalities of these mountains, from the towering Teton Range to the volcanic plateau luring wildlife to roam in Yellowstone to the glacially carved valleys of Glacier’s Going-to-the-Sun Road. Montana/Wyoming | Western Adventure – Austin Adventures is headquartered in Billings, MT, making this new itinerary a no-brainer for the planning team who have highlighted favorite places where locals love to play. For example, the relatively undiscovered Beartooth Pass allows passage through the quiet side of Yellowstone via Cooke City. Lamar Valley, populated by bears, wolf, bison and pronghorn, plus the Grand Canyon of the Yellowstone River whet excitement enroute to Cody’s Monster Lake Ranch, a paradise for families looking for a Wild West experience. Utah | Mighty Five National Parks – Utah’s “Mighty Five” National Parks take top billing with an array of surreal scenery and terrain-specific activities. This red rock heaven focuses on Canyonlands, Arches, Bryce, Zion and Capitol Reef, all within a relatively small geographical area. Alberta | Banff Winter – The snow-draped peaks of Banff National Park create a mid-winter beauty that’s a backdrop for powdery adventures like cross country skiing, snowshoeing, and dog sledding. Guests arriving “home” each night anticipate mugs of hot chocolate or a glass of wine to sip beside a fireplace before a sumptuous dinner. Tanzania | Bush Rover Explorer – Some say that “safari” is synonymous with Tanzania, where wildebeest graze across the grasslands, hippos jostle for space in muddy waterways, elephants mosey along seasonal migration routes and chimpanzees swing through the treetops. Guests are accommodated in a Bush Rover Suite, a full working Land Rover that converts into a stunning home by night. This home on wheels brings visitors to the wildlife, all in splendid isolation and comfort. Kenya | Samburu to Masai Mara – Vast savannahs peppered with herds of wildlife mix with traditional peoples who bring soul and color to the earth. Kenya is the home of Africa wildlife conservation. 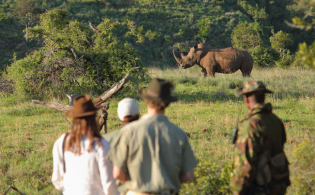 The safari (the word means journey in Swahili) was born here, where visitors aspire to spot the much-heralded Big Five (lion, leopard, buffalo, rhino and elephant). India | Delhi to Pench (National Park) – A land of incredible diversity – from artistic culture and ancient traditions to culinary creations and glorious landscapes – India kindles curiosity, shakes up the senses and ignites travel passions. Guests explore the Golden Triangle (Delhi, Agra and Jaipur) and search for sloth bear, leopard and tiger in Pench and two national parks. Laos/Cambodia | Luang Prabang to Angkor Wat – Two bite-size destinations, Laos and Cambodia, begin to reveal themselves on small side streets, along back alleys, in temples at Luang Prabang and Cambodia’s famed Angkor Wat. In the throes of cultural intoxication, guests relax on a private island before experiencing Cambodian cuisine and nightlife in Phnom Penh. Holland / Germany | Amsterdam to Aachen – This multisport adventure takes guests by bicycle and foot from Amsterdam’s colorful tulip markets to Aachen’s famous cathedral. They taste a caramel-filled stroopwafel in a quaint café, cycle the fabulously flat and scenic landscapes of the Dutch countryside, and explore Germany’s westernmost city of Aachen with a knowledgeable guide. 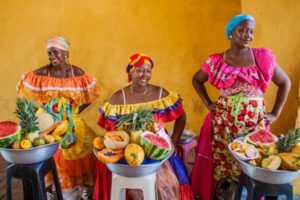 Colombia | Bogotá to Cartagena – Soaring Andean peaks, pristine Caribbean coastline, mysterious Amazon jungle, yet-to-be-heralded archaeological ruins and cobblestoned villages combine in this emerging tourist destination. Colombia appeals to those looking beyond Machu Picchu, Cuba and the Galapagos.